April 11th: This is a warning to all truckers and motorists to please avoid driving over what may look like a harmless discarded black plastic bag lying on the road. It may not be litter. 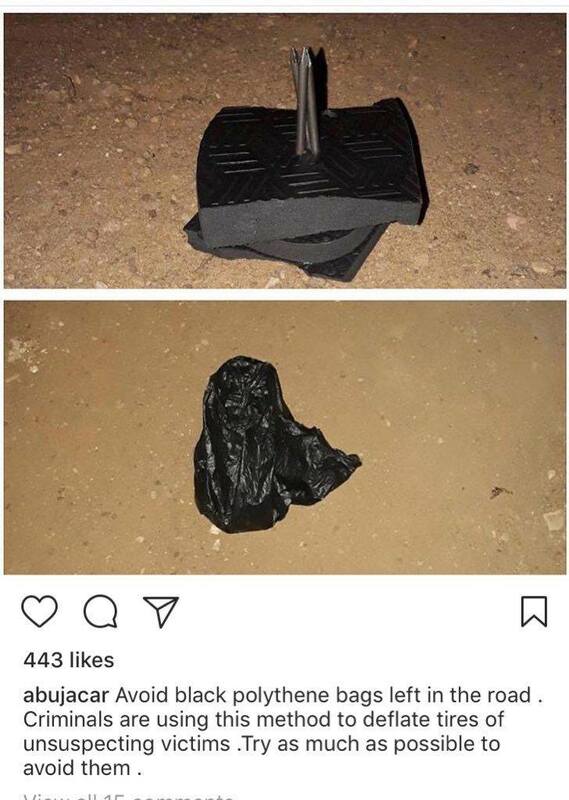 Inside the bags are long nails wedged into tyre chunks which puncture tyres and force you to stop whereafter the criminals pounce and rob or hijack you. FleetWatch thanks Patrick Mathebula of CBRTA for bringing this post below to our attention.